Sometimes I wonder the kind of leadership we have in Africa looking at the situation of the continent and the continuous backwardness. I recall that no African leader have an interest on the growth of Africa, instead they maintain old and outdated form of leadership, corruption and power drunkenness to please their colonial masters. In some parts of the continent today, colonial master's law is still being used to govern the people. Going to the Libya's situation, lives are useless, waste of lives and properties has become a landmark of the country. Since the murder of M Gaddafi, Lybia has nothing to hold onto, everything in the country is close to near destruction. This M Gaddafi was a man who went to the United Nations General Assembly and stood up without any atom of fear and openly told the United Nations that Africa as a continent has no representative. Gaddafi insisted that Africa should be allowed to hold one of the major positions in the United Nations. Likewise Legend Robert Mugabe, the president of Zimbabwe. This is a man who has African Growth at heart. He is the man who defeated the leadership of colonial masters in his country. Robert Mugabe told African leaders to come together and make peace and set up Africa Court of Justice. Until now, American Government wants to persecute Robert Mugabe. What is his crime? Gambia situation has become the news of today. ECOWAS is using forces against just one man. Using forces against Gambia that is not up to Kaduna state of northern Nigeria. How many times has ECOWAS used their forces against the murderous president of Nigeria, Muhammadu Buhari. Has ECOWAS reviewed and feel defending their principles on the right of indigenous people of Biafra. ECOWAS should have locked up President Muhammadu Buhari for the killings of Biafrans. 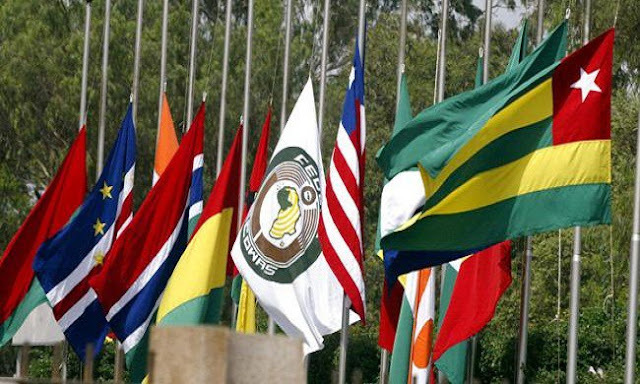 The hypocritical silence of ECOWAS in the face of the ongoing genocide being perpetrated by Muhammadu Buhari in Nigeria has dragged the integrity of the sub-regional body to the mud. Are Biafrans not human or are they not the citizens of Africa and body of ECOWAS? ECOWAS must do the needful now or remain adamant forever.